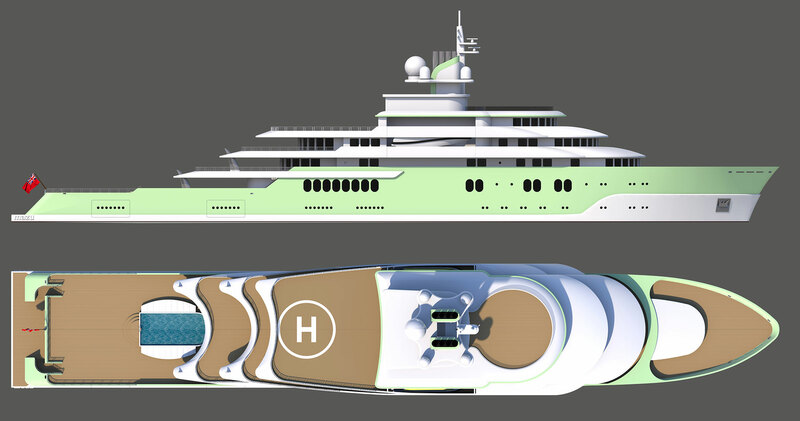 The 120m yacht Mazu, named after the Chinese sea godess, was originally created to break the mould in the aggressively radical explorer yacht concepts being promoted at the time. The term ‘explorer’ generally applies to vessels whose funnels/engine exhaust are forward of the vessel’s overall length, making it difficult to create the more general swept back silhouette of the typical yacht. The styling for Mazu was deliberately proportional, elegant and instantly recognisable without being radical, alienating or aggressive, a safe haven in which to venture to remote places. Firstly the General Arrangement was developed to include all the elements that you would normally find on a yacht of this size. 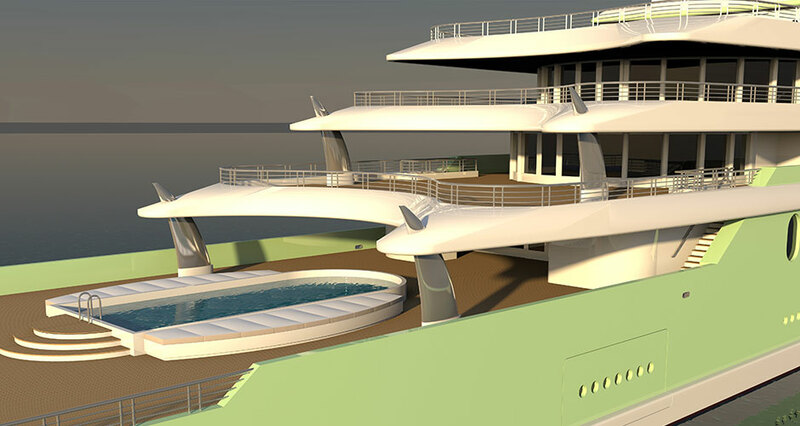 The Lower Deck comprises an aft lounge facing on to the swim platform, a full spa, beauty treatment room, a gym with its own fold down platform and bar lounge also with a fold down platform. The Main Deck has a vast aft exterior deck space with sunken pool. Forward of that is the full width Main Saloon and Dining area. And then again forward of this there are six well apportioned guest suites.